The objective of this book is to review the position of investigative interviewing in a variety of different countries, with different types of criminal justice systems, and consists of chapters written by leading authorities in the field, both academics and practitioners. 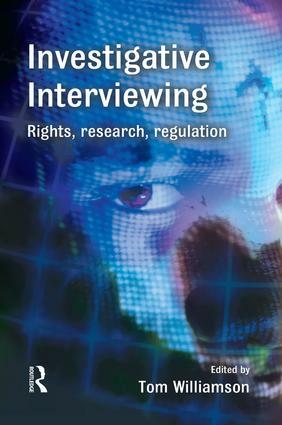 A wide range of often controversial questions are addressed, including issues raised by the treatment of detainees at Guantanamo Bay, The Reid model for interviewing and miscarriages of justice, the role of legislation in preventing bad practice, the effectiveness of ethical interviewing, investigative interviewing and human rights, responses to miscarriages of justice, and the likely future of investigative interviewing. The book also makes comparisons between British and American approaches to detention without trial, and the role of confession evidence within adversarial legal systems. It also develops a set of proposals to minimise the risks of miscarriages of justice, irrespective of jurisdiction.